Mindfulness describes a very rich and many-faceted form of conscious awareness in which we deliberately choose to focus our awareness in order to investigate our experience. This is quite different from thinking about experience; mindfulness is about experiencing things directly, whether internally arising in the mind (thoughts, emotions, memories and perceptions) or externally as physical sensations (sight, sound, taste, smell, body sensation). This quality of seeing directly is very important, a hallmark of mindfulness, and is essential for the investigation of experience. Mindfulness Therapy applies mindfulness for healing anxiety and depression and other forms of emotional suffering. When we develop mindfulness we become more present, we develop a more conscious relationship with the object of mindfulness, whether that is external or internal. When we become more mindful of our thoughts and emotions it is like breathing life into these mental formations, which is what they need in order to change and ultimately resolve themselves. Without conscious awareness (mindfulness) painful emotions become stuck, frozen in time and lose malleability and this prevents them from changing and healing. When we restore mindfulness to emotional suffering, the emotion regains malleability (referred to as emotional plasticity in mindfulness psychology as I teach it) and this is what allows the emotion to heal. 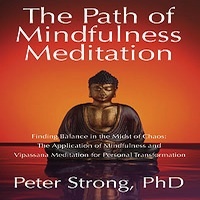 In short, mindfulness promotes healing and well-being, which is why mindfulness has such prominence in the teachings of the Buddha, because the whole focus of the Buddha’s teachings was on awakening to suffering and the resolution of suffering as the pathway to liberation of our true potential for happiness, wisdom and compassion. Why is Mindfulness so Effective for Anxiety and Depression? The Mindfulness Movement is growing at an exponential rate, but what is mindfulness and why is mindfulness so effective for treating such a wide range of emotional conditions? I teach Mindfulness Therapy online via Skype and I am just so impressed by the results that people experience. Mindfulness therapy is not a treatment-based approach and does not suffer from the usual limitations of treatments for psychological conditions. Treatments, whether medical, pharmaceutical or psychological may alleviate symptoms for a while, but treatment-based therapies rarely if ever change the underlying cause and underlying process that creates our emotional and psychological suffering. This is what mindfulness-based therapies tries to address head on. Jon Kabat-Zinn has been a pioneer in the field of mindfulness and its application for stress reduction (mindfulness based stress reduction, MBSR) and for raising awareness about mindfulness in general. I provide Mindfulness Therapy online via Skype for the treatment of anxiety and depression and for help with emotional stress, PTSD and trauma recovery. Please CONTACT ME if you wish to learn more about mindfulness-based online therapy. The mindfulness therapy approach is remarkably effective for the reduction of emotional stress and for the treatment of anxiety, depression and PTSD. The focus is on developing more consciousness of your thoughts and emotions that is not reactive but independent from the content of mind. In mindfulness-based stress reduction this is usually achieved by refocusing awareness onto physical sensations as a way of counteracting reactive thinking, but in Mindfulness Therapy we direct mindfulness on the thoughts and emotions themselves to cultivate independence and to facilitate resolution of unresolved emotions. This approach is very effective, and I talk about it in my book. On the 10th anniversary of the publication of Coming to Our Senses: Healing Ourselves and the World, Jon Kabat-Zinn will be the keynote speaker at the 2015 Networker Symposium this March in Washington, DC. He’ll explore the connection between the intensely private experience of living a meditative life and responding to the vast deluge of global and social problems we collectively face. In the interview below, he shares how he manages to balance the demands of both the personal and public domains in his own life. The topic of mindfulness is everywhere these days. You’ve been as responsible for bringing mindfulness into the cultural mainstream as anyone. What’s it like for you watch all this mushrooming fascination with mindfulness practice? Jon Kabat-Zinn: I only want to take credit for the good stuff. The nonsense I completely abjure. When something achieves the kind of cultural currency mindfulness has reached, the definition often becomes a bit blurry. A few years ago, one of our Networker authors described mindfulness as nothing more or less than another form of self-hypnosis. In fact, he even included a transcript of a talk you once gave for Google as an example of an extremely gifted clinical hypnotist at work. What’s the difference between mindfulness and self-hypnosis? Kabat-Zinn: Mindfulness is often compared to lots of other things with sexier names, but I think to call it just another form of self-hypnosis is just utter nonsense. To be sure, mindfulness isn’t something that just got invented, certainly not by me. It goes back thousands of years in virtually all cultural traditions. But for me, the most precise articulation is in the Buddhist tradition and the development of practices to cultivate wakefulness, kindness, and compassion. And by cultivating it, I mean living and embodying it. But these days, more and more people are getting the notion that mindfulness is just another concept that they have to familiarize themselves with. It’s hard to actually describe what mindfulness is and, of course, there are plenty of different definitions of it. Early on, I realized that it’s just a can of worms to try to give mindfulness a precise definition. I prefer to approach it not as a concept, but as an experience, a way of being, a doorway into oneself. Whatever else we might say, I think we can all agree that mindfulness and awareness are the same thing. That said, we have to acknowledge that when we use the term awareness in common parlance, we’re usually not entirely sure of what we’re talking about. And so it can be helpful to try to look more closely at what it means to inhabit this space that we call awareness. Back in 1979, when I started Mindfulness-Based Stress Reduction, I came up with an operational definition of mindfulness that still serves as well as anything else: mindfulness is the awareness that arises from paying attention on purpose in the present moment non-judgmentally. That doesn’t mean you won’t have any judgments. In fact, when we start paying attention, we realize that we almost have nothing but judgments going through our heads. Just about every thought has reactive emotions associated with it: liking, disliking, wanting, rejecting, greed, aversion, and with plenty of delusion thrown in to leaven the pot. So mindfulness is about getting access to our own awareness with equanimity and without falling into a stream of conceptual thinking that goes on and on and on. Since this interview is intended for an audience of therapists and we’ve been talking about the importance of relationship in mindfulness, might I ask you how this experience of our back-and-forth is shifting your awareness in this moment? What keen therapeutic intuition you have! Kabat-Zinn: We’re engaged in a complex, nonlinear relationality. It’s a dance, so to speak, and there are a lot of different elements to it. As with any human communication, when we’re truly attending to the whole, rather than just the points we want to get across, we can actually begin to dialogue in a way that brings forth something that might not have been apparent before. What mindfulness does is reveal aspects of the experience that we haven’t been aware of because we’re too busy zoning out on autopilot. So as we call attention to what’s going on between us, does that shift anything for you in this exchange? Do you feel any more aware, more present? Kabat-Zinn: I think what you’re pointing to is how what we’re doing is as much a meditation practice as sitting up straight in a chair, putting your hands in a particular configuration, and closing your eyes—or whatever it is that you do to drop into the present moment. This is the present moment. I’m still breathing, and I presume you’re still breathing, even though we’re talking. It’s just more complex because I’m moving my tongue and moving the air out through my lips and forming words and hoping that those words resonate not just with you, but with your audience. This form of embodied conversation might actually be described as a love affair. In other words, when you’re not in love with your tongue wagging but with some sense of making an effort to communicate about something that you love dearly, then in a certain way, this becomes a big love affair, with the potential for growth and revealing the relationality present in this moment. When you talk about mindfulness, for me it sounds like both the most natural thing in the world and one of the hardest things to achieve. You make it sound like an invitation to come home to ourselves, as opposed to what our culture tells us we’re supposed to do with our attention. In that sense, it’s quite countercultural. Kabat-Zinn: I think the invitational aspect is very real, but I hope it’s not countercultural. I don’t mean to say that it’s oppositional, just that it’s at odds with the direction of the culture. Kabat-Zinn: I want to emphasize that we’re not trying create another New Age movement, with the idea that somehow people who meditate are special or have a deeper insight than everybody else. There’s a hubris to that kind of attitude that’s ultimately ignorant, not only of our own process, but also that of others. And it doesn’t mean that there aren’t institutions and people in this world that are causing enormous amounts of harm, but all that harm is coming out of the human mind when it doesn’t know itself. Would you agree that part of the invitation of mindfulness, as you’ve described it, is to let go of our preoccupation with the usual stories of who we think we are? Kabat-Zinn: Letting go of the story means not necessarily rejecting the stories, but realizing that the stories are limited. When they begin mindfulness practice, most people find out it’s almost impossible for them to do it for even five minutes without intrusive thoughts coming in. You begin to realize, “Oh, I was telling myself a story of how concentrated I am, but I can hardly focus at all.” If you start to watch your use of the personal pronouns, you can’t help noticing that we’re like the center of the universe, each one of us. It’s all about me and my success or my failure or my future or my past or my children or my grandchildren. And it’s like, yeah, you’re the center of the universe, but so is everybody else. So what about the changes in your own story? You’ve been meditating since 1966 and have become a public figure and something of a cultural icon. How would you describe your sense of your own story at this stage of your journey? Kabat-Zinn: Well, as you know, I was somewhat reluctant to even do this interview because I’m getting asked to do so many interviews and be in a lot of films these days, since suddenly this mindfulness stuff is so hot. But that just means it’s even more important for me to stay true to the practice and to life itself. I mean, just because we get older doesn’t necessarily mean we stop growing, so there are always new adventures to face, new challenges, new opportunities. But in a sense, there’s a continuity between the young Jon first studying meditation and the older Jon. In fact, the love affair is exactly the same, with the potential for human beings to wake up in the deepest of ways and live life on the planet individually and collectively as if it really mattered. To some people, that may sound like pie-in-the-sky idealism, but I don’t think so. You certainly sound determined not to be seduced by this very public role you have in the development of the mindfulness movement. But beyond that, where do you see the growing edges for yourself in your own evolution as a person? Kabat-Zinn: I’m 70 years old now, and I started the Stress Reduction Clinic when I was 35. Before that, I had 10 years of asking myself, What’s my Job on the planet, with a capital J? I defined that as work that I’d love so much I’d pay to do it. So now, 35 years later, this great interest in mindfulness is the flowering of that. It’s touched many, many people, all of whom are bringing their own creativity to it. So in terms of where my growing edges are, they’re where they’ve always been: right at the growing edge. I’m a grandfather now, and that’s a new opportunity. I’m learning to be with my family in new ways at this particular stage of life and not miss the essence of what’s most important, because there’s a tendency to get seduced by the fact that everybody wants a piece of you or wants to put you on their pedestal, or knock you off the one they think you’re on. I’m trying to learn how to be in a wise relationship to all of this, realizing that—like every other wave of interest in a new thing—at a certain point, the interest in mindfulness is likely to decline. But there’s one thing that really needs to be said, especially since the word mindfulness is becoming so popular and overused these days. In Asian languages, the word for mind and the word for heart tend to be the same word. So if you’re not hearing the word heartfulness when you’re hearing the word mindfulness, you’re really not understanding what it’s all about. You’re going into thought, and you’re going into your concept of mindfulness, but mindfulness is pointing at something beyond words, underneath words, underneath thinking.